Located close to the Sardar Patel Stadium, Aakash is a pleasant hotel with a simple external structure and an inviting ambience. 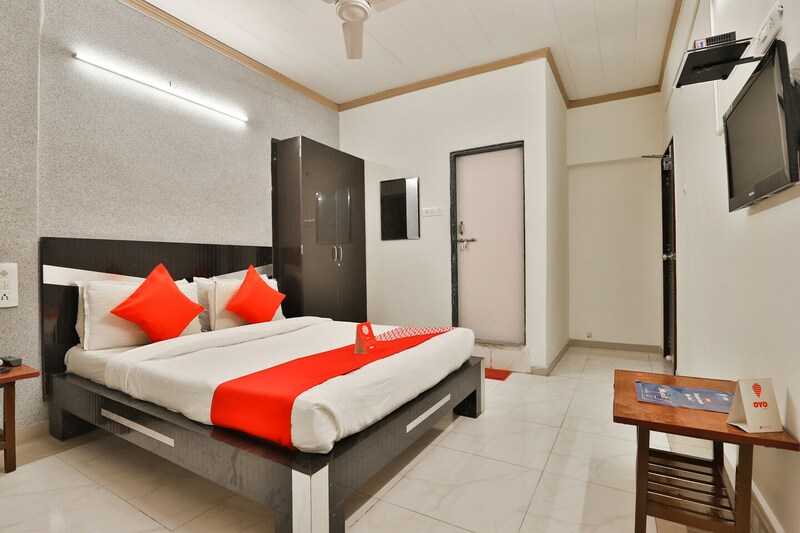 The bedrooms at the hotel have a simple decor with light colored walls and dark woof furnishings, lending the rooms with a comfortable ambience. The hotel provides its guests with free Wi-Fi so that they can stay connected with the rest of the world. The CCTV cameras placed all over the hotel ensures a safe environment for the guests stay in while the card payment option encourages them to go cashless. Innumerable eateries in the area provide you with local flavours and offer a variety of different cuisines. Malls and markets in the vicinity appease the most enthusiastic shoppers.